A large 28 oz. 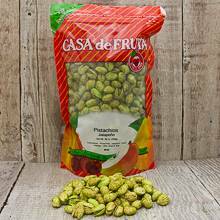 bag of Tangy Jalapeño pistachios for you to enjoy. We select only the best nuts. Net wt. 1 lb. 12 oz. Ship wt. 2 lb. 8 oz.